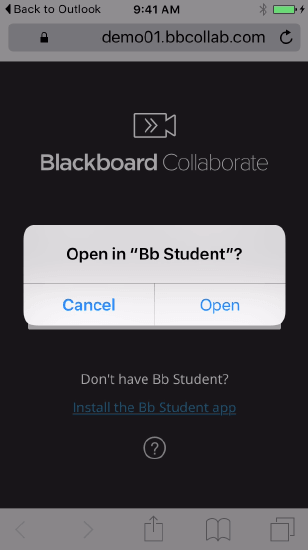 Here is how to access Blackboard Ultra using a Mobile device. 1. On your mobile device click on the guest link sent by your instructor or click on the "Ultra Conference" link in your Canvas course. 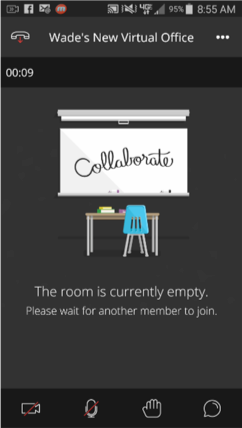 (Note: Only try and join a session from a mobile browser. You cannot join a Bb session from the Canvas App). This will redirect you to the Blackboard student app. If you have Blackboard app 2.0 or later and this is not your first time joining a session, it should launch automatically. Otherwise download and install the app. 2. Once the app is installed tap the link sent by your instructor. 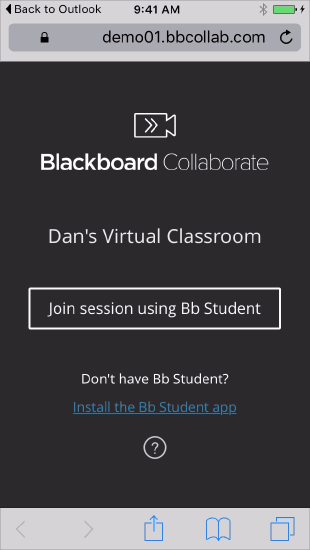 For Android and Windows, you might need to tap Join Session using Bb student. 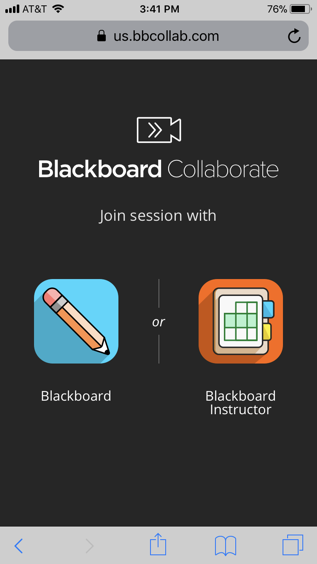 You also might be prompted to "Join Session with Blackboard or Blackboard Instructor." If you are a student, join using Blackboard. 3. 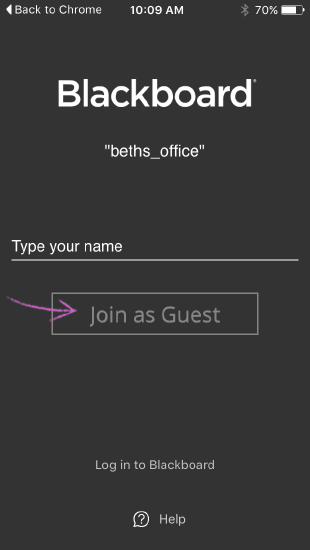 Next, type your name and click "Join as Guest"
For more information about Blackboard Collaborate Ultra, please click here.